The New England Patriots will take on the Pittsburgh Steelers in the AFC Championship Game Sunday night. The game has a 6:40 PM EST start and will be broadcast on CBS. The Patriots won the AFC East with a 15-2 record, and they easily dismissed Houston with a 34-16 victory in the divisional round. They won 27-16 at Pittsburgh in Week 7, but Steelers quarterback Ben Roethlisberger did not play in that contest. The Steelers cruised past Miami in the Wild Card game and then beat Kansas City 18-16 in the divisional round despite not scoring a single touchdown. The Pats are 11-4 ATS in the last 15 meetings and have won each of the last three by seven points or more. 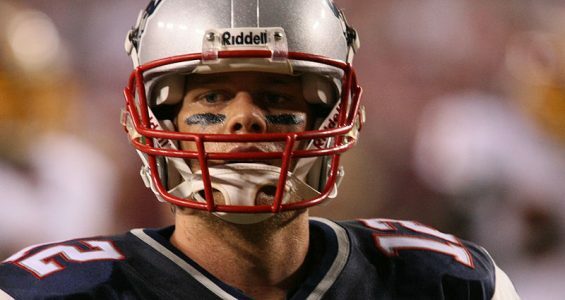 New England opened as a 6-point favorite at most major sportsbooks in Vegas and offshore, and the books have been hesitant to move the spread despite the Patriots receiving nearly 60 percent of the bets. The total opened at 51 points and have dropped half a point. You can follow the public betting percentages and line movements on our live betting odds page. Ben Roethlisberger was far from his best in the win against Kansas City in the divisional round, completing just 21-of-30 passes for 224 yards, no touchdown passes and a pick. Instead it was Le’Veon Bell who carried the team offensively, rushing for an outstanding 170 yards off 30 carries. The Steelers defense also came up big and held the Chiefs to just 227 total yards. Steelers are 7-1-1 ATS in their last nine games overall and 13-3-3 ATS in their last 19 games in January. Over is 24-11 in Steelers last 35 games after allowing fewer than 250 total yards in their previous game. The Patriots recorded their eight consecutive win when they cruised past Houston in the divisional round. They’ve won each of their last four games by two touchdowns or more and been equally dominant on both sides of the ball. The Patriots defense was phenomenal in the win against Houston, holding the Texans to only 285 yards and made three interceptions. Their own quarterback Tom Brady was not at his very best, connecting on 18 of 38 passes for 287 yards with two touchdowns and also tossed two interceptions. Patriots are a dominant 14-3 ATS in their last 17 games overall but just 1-6 ATS in their last seven Conference Championships games. Under is 5-1 in Patriots last six Conference Championships games. A stomach bug has ripped through the Steelers’ locker room this week, making the preparations far from perfect for this AFC Championship clash. The Pats beat the Steelers big once this season already and should do it again here.